This classic Dutch spice mix, speculaaskruiden, are used for a lot of Sinterklaas recipes. You know, the traditional holiday for children at the end of the year. Yes, the one with ‘zwarte piet’ (black pete) but we’re not going to talk about that. 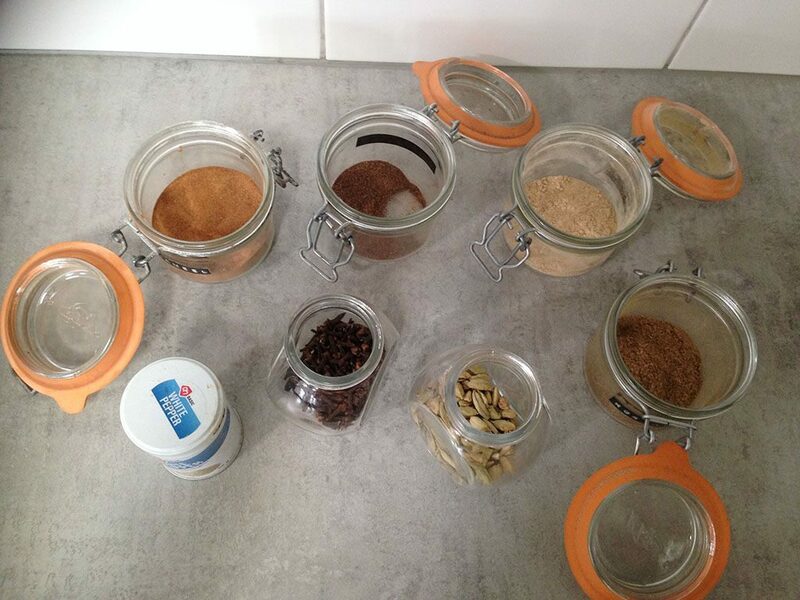 There are a lot of Dutch recipes using this spice mix, such as kruidnoten or e.g. spekkoek has nothing to do with Sinterklaas. 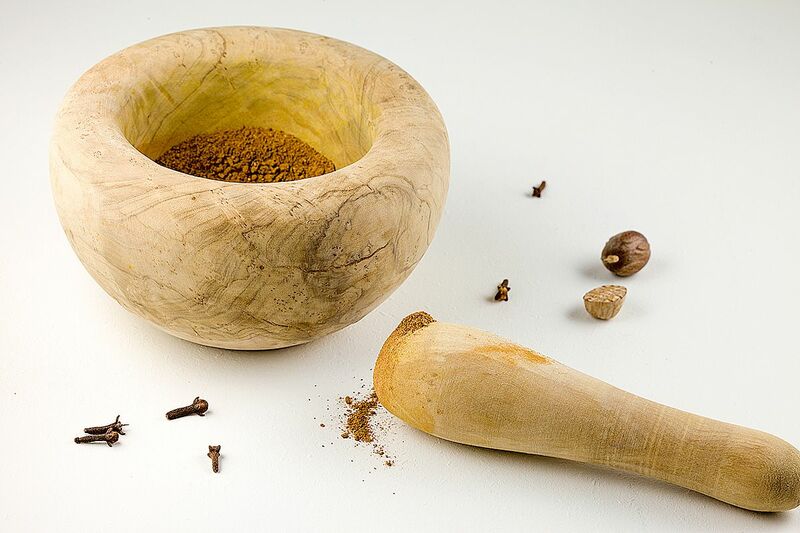 You can choose to use all ground spices, but with a pestle and mortar you can grind your whole spices. If you’re only using ground spices, all you have to do is combine them and that’s it. If you’re using whole cardamom pods, you have to remove the seeds from the pods first. 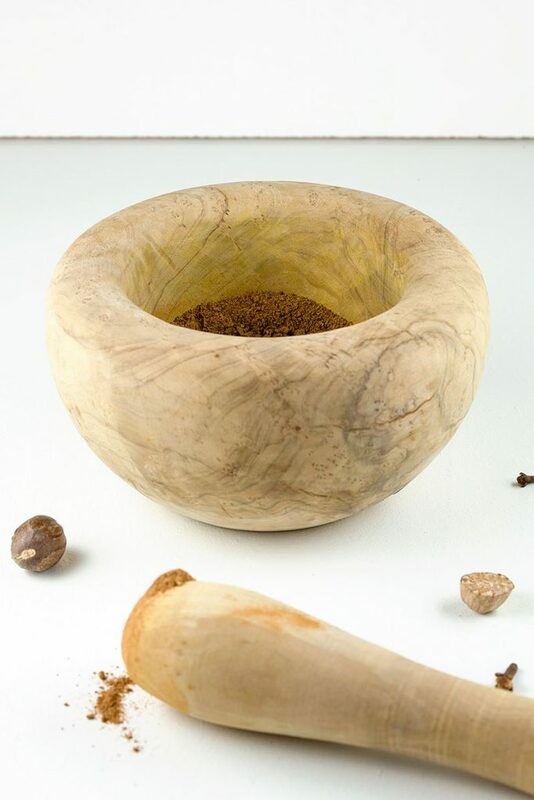 You can easily do this by using the pestle and tap it slightly so they’ll open up. 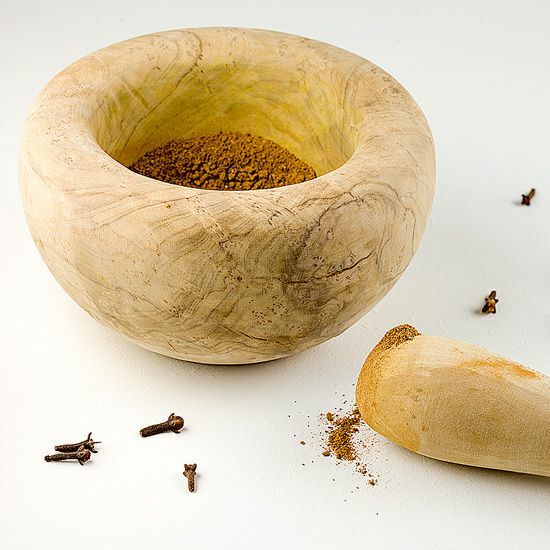 Remove the pods and add the other whole spices to the mortar, such as whole cloves. With a stamp and turn movement, you can grind the spices as fine as possible. This won’t take long, add the rest of the ingredients and combine well. You can also add some anise and/or mace (herb) for a twist. Store in an airtight container so you’ll always have a lovely Dutch spice mix on hand. Glad to find this. I was reading your recipe for Taaitaai, and came here from there. Apart from Dutch recipes, is this spice mix useful for dishes I might be more familiar with? Thanks!